Orlando, Fla. — Calling Wednesday night’s Orlando Magic vs. New York Knicks matchup sloppy would be an understatement. The game, a 101-90 win for the Knicks, featured two teams out of rhythm. The Knicks, fresh off the news that Joakim Noah will miss the remainder of the year, took the floor without Willy Hernangómez, and with Derrick Rose and Kristaps Porzingis fresh off the injury list. It would be the Magic, however, that showed the real rust. Despite having three days off since their win over the Hawks, Orlando looked like a team that had never played together before. The most glaring evidence of this was their 11 combined assists as a team. There were only three lead changes in the game, all of them in the first quarter, and Orlando’s biggest lead with two points. After their newest acquisition, Terrence Ross, had a breakout 24-point game on Saturday, it appeared that the team was gelling nicely. Their new small ball approach that hinges on fastbreak points looked deadly as they downed the playoff-bound Hawks. On Wednesday, however, a very different Magic team took the floor against the twelfth-place Knicks. They played selfishly, reverting to the non-trusting iso-ball that has plagued them all season. They settled, taking step-back, low-percentage jumpers instead of attacking the rim against a Knicks team that had the size advantage. New York’s length, which hinged on the long arms of 7’3” Porzingis, and the bulky 6’8” Carmelo Anthony in the frontcourt, stopped the Magic from using their speed. New York’s versatility, switching nearly every screen and frustrating the Magic attack, led to poorly executed offensive sets and forced shots. Energy was a big concern from the Magic, who shot 41 percent from the floor on offense and committed a series of mistakes on the defensive end that led to easy buckets. The silver lining for the Magic is that they did turn 11 Knicks turnovers into 10 points and scored 18 off of fast break opportunities. Small forward Evan Fournier led the Magic with a game-high 22 points on 8-of-15 shooting. He was the only Orlando player to shoot over 50 percent, and also chipped in two assists and two rebounds. 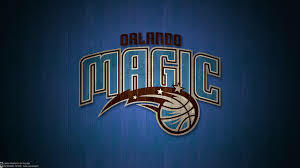 The Orlando Magic (22-39) will stay at home when they take on the Miami Heat (28-33) on Friday. After dropping the opener against Miami, the Magic have won the last two meetings, and look to finish the year with a winning record over their rival in their final game on Friday.